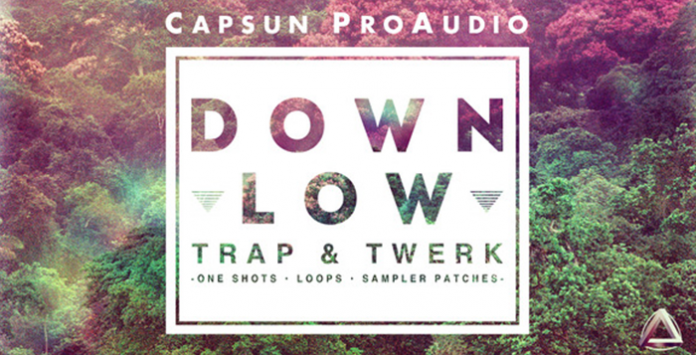 Down Low – Trap & Twerk is the latest brand new pack designed by CAPSUN, creator of the No.1 bestselling ‘Trap’ series. Once again, leading the genre down it’s newest path and representing the freshest experimental future sounds. Except this time around we stepped it up a notch and brought critically acclaimed producer Schroff on board. One half of Trap outfit iLLU!, boss at FKK Records and Trap93 LDN associate. He adds his patented ‘Lean’ sound – a deep 808 bass fusion of trap, trill, ambient music, dark RnB, grime, house and garage to the collection. This collaborative approach produced the most current, creative and real representation of Trap & Twerk imaginable. Influence has been drawn from big hitting bass producers such as Diplo, RL Grime, DJ Snake, Dillon Francis and the club infused trap and rap of Mike Will Made It, DJ Mustard, Lex Luger, SALVA and Hit Boy. Also encompassing the more experimental future sounds of What So Not, Bauuer and Jack U all the way to the atmospheric soundscapes of Clams Casino. This makes this expansive collection ideal for Trap, Twerk, Chill Trap, Future RnB, Ratchet Rap, Hip-Hop, Future Beats and perfect for experimenting in forward thinking EDM, House, DnB and Dubstep.